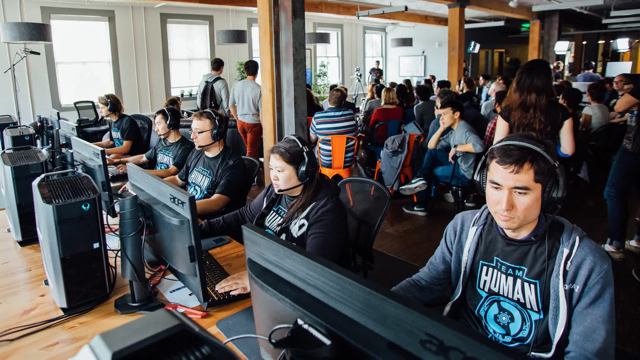 OpenAI, an artificial intelligence research group backed by Elon Musk, stated that its software can beat “teams of five skilled human players” in Valve’s video game “Dota 2.” If verified, the achievement would be a milestone in computer science and a leap beyond other AI researchers working on mastering complex games. IBM’s software mastered chess in the late 1990s, and Alphabet’s DeepMind created software that dominated “Go” in 2016. “Dota 2” is a multiplayer sci-fi fantasy game where teams advance through exploration. Bloomberg reports that, “OpenAI said its software in mid-June beat a semi-professional team that is ranked among the top 1 percent of ‘Dota 2’ players and an amateur team ranked in the top 10 percent — both times winning two games to one in a best-of-three series.” It plans to “take on the world’s highest-ranked pros at The International,” the game’s premier pro tournament, which will take place from August 20-25 in Vancouver. “Dota 2,” which is “many times more complicated than chess or ‘Go’,” has more than 1 million active players and “also is one of the most popular and lucrative in professional eSports.” Last year’s International had a prize pool of more than $24 million. “What ‘Dota’ does is show that today’s algorithms can go a lot further toward being able to solve those real-world challenges than people realized,” said OpenAI co-founder/chief technology officer Greg Brockman.